It was twenty years ago today Sgt. Pepper taught the band to play. But for the guys in the band, it probably did not seem that long. 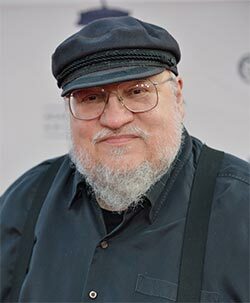 A GAME OF THRONES was published in 1996. In 2016, to celebrate the twentienth anniversary, Bantam Spectra published a special deluxe leatherbound edition of the novel, lavishly and beautifully illustrated, with an introduction by John Hodgman. The anniversary edition was a big success, and is still selling strongly two years later. (If you’d like to snag an autographed copy, you can get one from the bookstore at the Jean Cocteau. We are out of stock at the moment, but we have more on order, and I will be defacing them with my illegible scrawl as soon as they come in — which will, alas, probably not be in time for Xmas). So… drum roll please… we’ve going to do it again. The second volume of A Song of Ice and Fire, A CLASH OF KINGS, was published in 1999. (Seems like yesterday, honestly. And I still recall the three years between books, when readers would email me to ask what was taking so long for book two, since Other Fantasy Author [fill in your choice] put out a book a year, rain or shine, and why was I taking so long? Sigh. Those were the days, when I was only two years late). Next year will mark the twentieth anniversary of its release, so Bantam Spectra will be doing a deluxe leatherbound edition of CLASH as well. 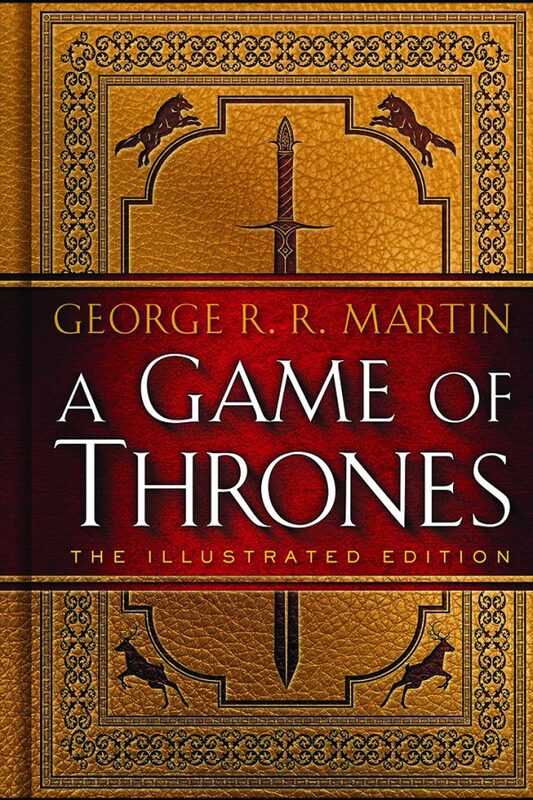 As with GOT, the anniversary edition will be lavishly illustrated with both color plates and black and white. Our artist this time around will be an amazing young talent named LAUREN CANNON. You can see some samples of her work on her own website, here: http://navate.com/ I love her paintings, and we’re all looking forward to working with her, and seeing her unique take on my world and characters. 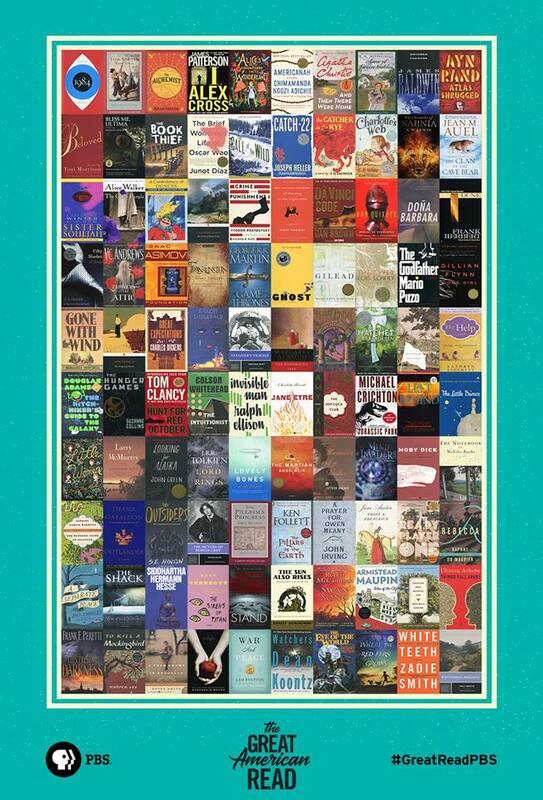 I cannot tell you how jazzed I am to be a part of THE GREAT AMERICAN READ. PBS is out to find America’s most beloved novel. (Note: not the most loved novel by an American writer, but rather the novel most loved by American readers, which is why a number of British books are on the list). They’ve selected 100 finalists, and in the months to come the public will be encouraged to read all of them… or as many as they can… and vote for their favorite. It’s Thunderdome for books; 100 novels enter, one emerges. Of course, it’s all for fun… and to encourage reading, and conversations about books. About fiction, specifically. Check it out here: http://www.pbs.org/the-great-american-read/home/ if you want to play. And yes, if you squint at that poster, that’s A GAME OF THRONES you see, right in the middle of the fourth row from the top. It’s a VERY eclectic list, one that runs the gamut from canonical classics of modern English literature to last year’s bestsellers and mega-sellers, touching every base in between. Hemingway and Fitzgerald and Melville are there, together with Tom Clancy and James Patterson and E.L. James. Genre fiction, I am pleased to say, is well represented, including SF and fantasy: not only my own work, but also books by Robert Jordan, Douglas Adams, Michael Crichton, Frank Herbert, J.R.R. Tolkien, and many more. And congrats to my friends Ernie Cline and Andy Weir, who made the list as well with READY PLAYER ONE and THE MARTIAN. Mysteries, romance, erotica, literary novels…. it’s quite a list. (Are there omissions? Of course there are. I can think of a dozen books I’d like to add myself, and a dozen I’d drop. But that’s where the conversations can start. PBS wants to get people talking about their favorite books, and so do I). I don’t think A GAME OF THRONES has a chance in seven hells of winning the competition… but just being on the same list as LORD OF THE RINGS, THE GREAT GATSBY, GONE WITH THE WIND, GREAT EXPECTATIONS, LONESOME DOVE, CATCH 22, CHARLOTTE’S WEB blows my mind. Those are favorites all, towering masterpieces, books that changed my life. I can’t pretend to have read every book on the list… but I’m going to do my best to fill in the gaps in the months to come. Oh, and besides the vote, there’s also an eight-part TV series devoted to THE GREAT AMERICAN READ. I will be one of the guests on the show, talking about a couple of my own “most loved” titles on the list. No, not my own work. Presumably one of the other guest authors or critics will talk about A GAME OF THRONES, but if so, I have no idea who that will be. And remember: The reader lives a thousand lives before he dies, the man who never reads lives only one. There’s a brand new interview with me up on the web, for those of you who cannot get enough of hearing me sound off. Thing is, it’s in German. If nothing else, there’s lots of cool shots of my collection of toy knights and model figures in this one. And here are some more of the second season stills, just out from HBO. Hope you’re liking these as much as I am. The wait is over. Yesterday Focus Home Interactive and Cyanide Studios released the first officially licensed Ice & Fire videogame — A GAME OF THRONES: GENESIS. This is a RTS game. That’s Real Time Strategy, for those whose experience with videogames is limited (like mine). I’ve never actually played a RTS myself; my own videogaming was largely with older turn-based strategy games like MASTER OF ORION, RAILROAD TYCOON, and ROMANCE OF THE THREE KINGDOMS. Those of you who have played other RTS games will find this one a bit different, I think… it’s not a clickfest, like some, and it features some innovative game design and original features. While there is combat in it, it is not a game that can be won simply by gathering resources, building armies, and winning battles. Much of the game revolves around intrigue, alliances, and betrayals. Envoys and spies and assassins are just as important as fighters, maybe more so. In some ways, A GAME OF THRONES: GENESIS is as much a board game as a RTS. The developers at Cyanide tell me that it’s easy to learn, but hard to master. The game is available in both French and English, and can be played solo or in a multi-player format. I have yet to get my own copies of the game, but I’m looking forward to them. Though I had better not play often. I have a history of being swallowed whole by videogames, which is why I don’t play much these days. (I swear, I lost a novel to MASTER OF ORION, and at least a novella to BANDIT KINGS OF ANCIENT CHINA and HOMEWORLD). A GAME OF THRONES: GENESIS was the work of the designers and developers at Cyanide’s Montreal studio. Please do not confuse this game with the RPG that Cyanide is working on. That’s a completely different beast, still in development at Cyanide’s studio outside Paris, and will offer a very different sort of a gaming experience. No firm date for the release of the RPG has been set yet, but we’re probably looking at a release sometime next year. You’ve been asking for it. And now we’re doing it. I’m delighted to be able to announce the forthcoming publication of a new, deluxe, limited edition of A GAME OF THRONES, to be published by my friends at Subterranean Press, and illustrated by the massively talented TED NASMITH. Ted is widely considered to be one of the “Big Three” of Tolkien illustrators; along with Alan Lee and John Howe, he has brought Middle Earth to life like no one else. And he he is no stranger to my own world, either. Ted painted the all of the wonderful landscapes for the gorgeous 2011 Ice & Fire calendar, with what I consider to be THE definitive depictions of thirteen of the great castles of Westeros. I have always loved illustrated books. No doubt that’s an artifact of my childhood, and early exposure to the work of Howard Pyle and N.C. Wyeth in books like MEN OF IRON, ROBIN HOOD, and TREASURE ISLAND. Almost since the day I started writing, I’ve wanted to see my own novels done in the same manner. Pyle and Wyeth are long gone, alas (though their work remains, and if there is anyone out there reading this who loves it as much as I do, be sure and visit the Brandywine Gallery should your travels ever take you to Philadelphia), but their heritage lives on in the work of today’s top illustrators. Nasmith is one. The original plan was for Meisha Merlin to do the whole series, of course. Unfortunately, the press ran into certain financial difficulties, as small presses often do, and ultimately went bust. Fortunately, I was able to get off the ship before it sank, and move the limited edition series over to Subterranean Press. Subterranean picked up where Meisha Merlin had left off, and issued signed, numbered, limited, slipcased editions of A STORM OF SWORDS (illustrated by Charles Vess) and A FEAST FOR CROWS (illustrated by Tom Canty). The Subterranean edition of A DANCE WITH DRAGONS (illustrated by Marc Fishman)is in the works even as I write. Which is not to say the changeover was without problems. The Meisha Merlin books are gorgeous, and so are the SubPress books… but they are also different. Subterranean has its own views on book design, its own ideas about graphics, its own way of doing things, and its own likes, dislikes, and preferences. When Subterranean took over, they changed the size of the book, dropped some of the features of the Meisha Merlin limiteds (the gilded pages, for example), even split the books into two volumes (in a single slipcase). All of which led to a certain amount of unhappy collectors. While I think everyone appreciated the quality of the books, and the love that had gone into them, the Meisha Merlin and Subterranean editions could not really be considered a SET, except in the broadest terms. The books did not match. Lined up side by side on the bookshelf, they did not look as if they belonged together. Small wonder then that, almost from the day that the Subterranean STORM OF SWORDS was first published, both Bill Schafer and I began to receive letters from collectors asking that SubPress do its own editions of A GAME OF THRONES and A CLASH OF KINGS, in a format similar to their later limiteds, to make a true set. There has been a steady stream of such letters and emails over the intervening years… enough so that Bill finally decided that they had a point and, with my blessing, went to Bantam Spectra and secured the license. As with the other Subterranean editions (and the Meisha Merlin editions before them), the Nasmith GAME OF THRONES will be signed and numbered and slipcased, limited to 52 lettered copies (A through ZZ) and 448 numbered copies (1 through 448). First right of purchase will go to those customers buying the SubPress limited of A DANCE WITH DRAGONS. The series is fully subscribed at the moment, I fear… but there are always drop outs, so I expect some copies will become available to new buyers (though probably not many). The value of those Meisha Merlin editions has reached astronomical heights on the collector’s market in the last year or two, and I know there will be some concern about how these new SubPress editions will impact that value. There is really no certain way to predict that, of course; the rare book market can be volatile. But I did speak to several collectors and rare book dealers before signing off on these new editions, and the general opinion was that any impact would be minimal. The SubPress edition is in no sense a reprint of the Meisha Merlin, after all. Only the text will be the same (and the text is the same in all the trade hardcover and paperback editions as well). The size, format, type font, book design, paper stock, and everything else about the Subterranean edition will be different. And of course Ted Nasmith’s art will all be completely new, and original to the book. The Meisha Merlin books will be just as rare as they are now, and I suspect their value will continue to appreciate… (at least as long as the HBO series stays on the air, but that’s a different discussion). But hundreds of new fans will now have the chance to add a gorgeous limited edition of A GAME OF THRONES to their shelves, and perhaps some of the many “busted sets” out there will be completed. I think it’s a win/ win. And I know that Ted Nasmith is going to give us some stunning artwork. So thanks to all of you out there who have been pushing for this through the years, and sending us all those emails. Congratulations to my friend Roy Dotrice, who has been officially awarded a world’s record for his audibook performance of A GAME OF THRONES. (I especially like the stain on the certificate, obviously meant to suggest the ring left by a mug of Guinness Stout). Of course, I am not sure how long this particular record will stand. In fact, I think Roy may well have broken it already with his recordings for A CLASH OF KINGS and (especially) A STORM OF SWORDS. But I will leave the Guinness people to sort that out. And, yes, yes, we are doing all we can to make sure it is Roy Dotrice who will record the audiobook for A DANCE WITH DRAGONS. He was my choice to begin with, and remains so. So you can all stop sending me emails and messages. I’m with you. Filming on HBO’s GAME OF THRONES series will be resuming in June, in Northern Ireland. Maisie Williams, who will play Arya Stark, is preparing for her part by practicing her needlework. I though you might enjoy seeing these recent pictures of her that her mom was kind enough to send me. Her sword, of course, is the full-scale replica of Needle produced by the good folks at Valyrian steel. Want to Work on A GAME OF THRONES? I get emails all the time from fans who want to be part of the filming. It would help if you live in Northern Ireland. Or at least the UK or the Republic of Ireland. Some actual experience in film or television production would be good as well. I’m sorry, it really doesn’t matter how much you love my books if you live in South Dakota and have no experience. If you want to apply, please note the instructions therein and follow them precisely. DO NOT SEND EMAILS OR RESUMES TO ME! I will not be hiring anyone. Nor am I willing to write recommendations for people I have never met, no matter how sincere or enthusiastic you may be. If this is something you really want, though, hey, take a shot. Can’t hurt. Who knows, perhaps the stars will align, and YOU will end up being Floor Runner #2. (No, I don’t know what Floor Runner #2 does either. Possibly that’s British for what we called “gopher” when I was in Hollywood. Something to do with running about the floor, at a guess).